Case of 250 - The 84 x 52 Mylar solar sleeping bags and blankets retain 90% of our body heat and can be used as ground cover or a shield from the elements. 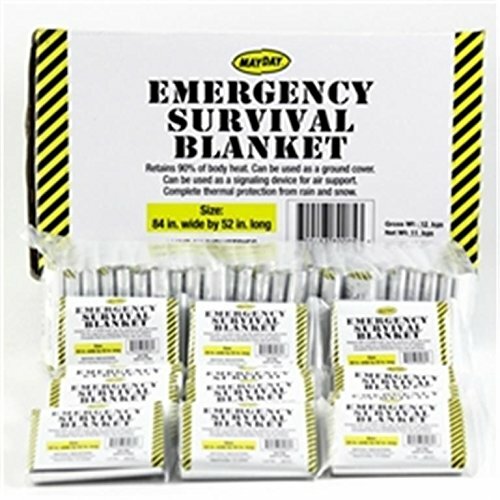 Case of 250 - Emergency survival blankets, 84" x 52"
If you have any questions about this product by Mayday Industries, contact us by completing and submitting the form below. If you are looking for a specif part number, please include it with your message. Case of 200 Emergency Mylar Blankets - 84" x 52"